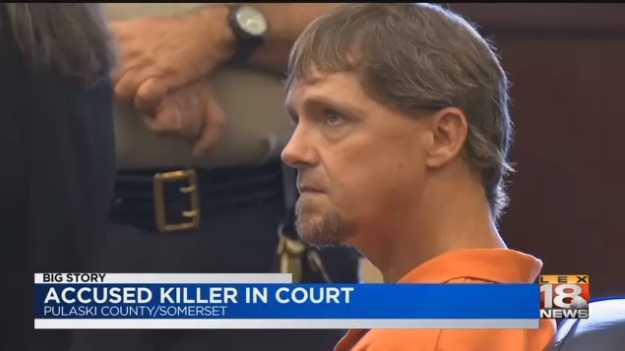 SOMERSET, Ky. — During a court hearing on Wednesday, a police detective in Kentucky outlined that the man who murdered the widow of a late Kentucky pastor last month had stopped by the church to ask for food. According to local reports, the detective, whose name has not been released, told the court that Dwight Bell, 41, found Ruthie New, 70, at Denham Street Baptist Church in Somerset and asked her for a bag of potato chips as he was homeless and hungry. Obliging his request, New went and obtained a bag of chips from the church fellowship hall and handed it to Bell. However, in return, he stabbed her in the neck. He then took her purse and drove off in her car. “The detective said that Bell told them he felt if he killed New, stole her car, phone, and other possessions, that he could get a fresh start,” WYMT-TV reports. New’s stepson told reporters that he was shocked upon hearing how she died, especially that she lost her life trying to be kind and helpful to someone she thought was in need. Police were able to track Bell because he used his EBT card along the way as he fled into Tennessee. Bell is being held without bond in the Pulaski County Detention Center and the case has been sent to a grand jury to determine whether sufficient evidence exists to send Bell to trial. He had previously been incarcerated for allegedly murdering his own father, and is also wanted in Indiana on a strangulation charge. As previously reported, family members of New contacted authorities on Aug. 24 to report the woman missing. Jeff Griffith, the pastor of Denham Street Baptist Church, decided to check the church as well. He soon found her body inside of the fellowship hall, a building adjacent to the church used for social functions. New often spent time on the premises as she served as the custodian. Following an autopsy, officials ruled her death a homicide, leaving the 250-member church in shock. New had been married to the late J.S. New, who died in 2012 after serving as pastor of Denham Street Baptist Church for 39 years. “He pastored several churches, held many revivals, officiated many weddings, conducted several funerals, baptized numerous new Christians into the family of the Lord, and led many lost souls through the plan of salvation. Bro. J. S.’s ministry included visiting the sick and shut in, delivering fruit baskets, and the longest-running radio ministry on WTLO Radio, The Old Country Church,” his obituary reads.